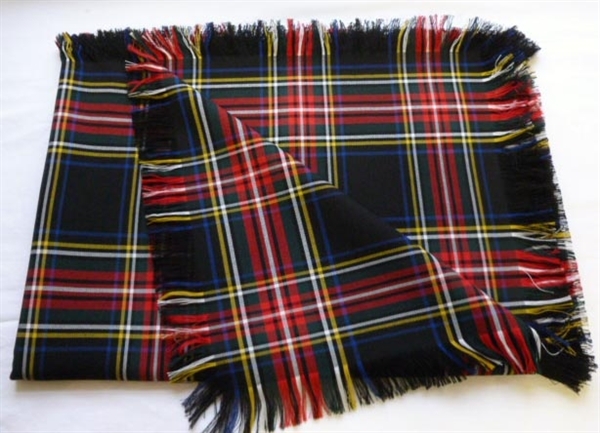 Made to order in any AVAILABLE tartan, fringed all round. Popular wedding gift. 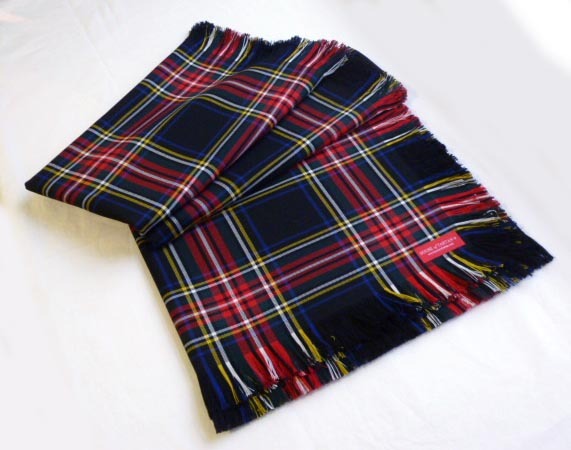 Made to order in any available (fabric available from stock) tartan, fringed all round. Popular wedding gift. 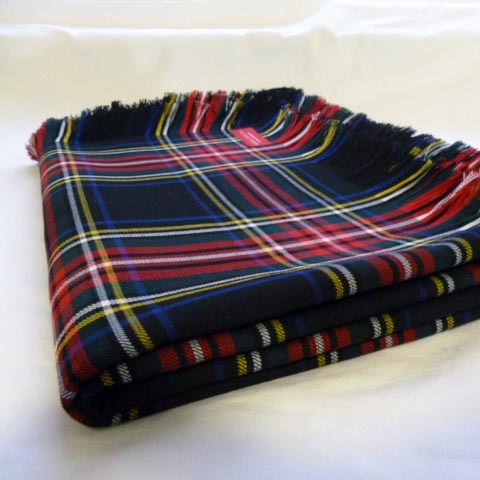 Travel rugs are available in LESS THAN 5% of the world's common tartans; this is a throw for the other 95%. Supplied in Pure New Wool fabric, in medium or heavy weight depending on availability/widths. Standard Throw size 1.8m x 140 cm. NOTE: Joins may be necessary if particular tartan only available in 76cm wide (28-29 inches) or if LONGER or WIDER throw size required. Phone or email us here for non-standard sizes.